Mon., Aug. 17, 2015, 7:17 a.m.
A GRIP ON SPORTS • What’s going on this week? Nothing unusual for this time of year. Though yesterday we saw a few out-of-the-ordinary things. For example: a Mariners’ win; a Sounders goal, another Sounders goal, another and another; and a professional golfer cry on a green, before his round was over. Read on. • Let’s take that last one first. 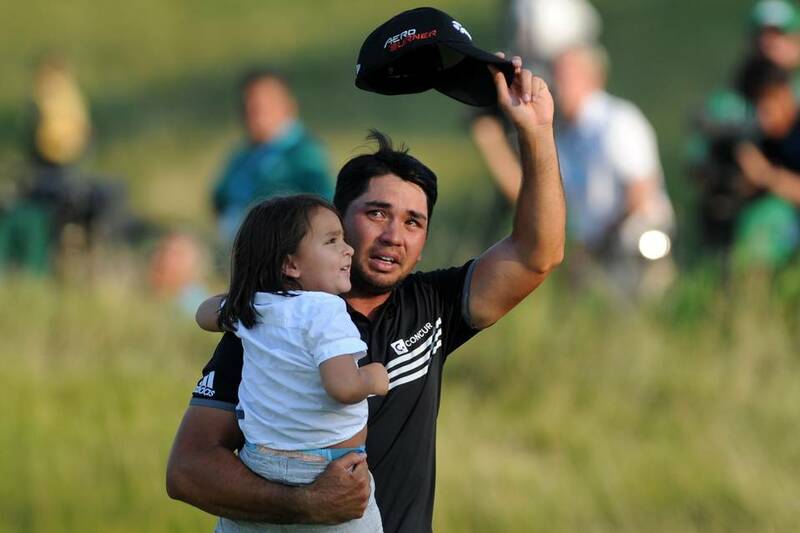 I thought I had seen most everything in my more than 21,000 days on this planet, but when Jason Day began crying yesterday after a lag putt on 18, I marked down another new one. Oh, I’ve seen guys cry on the golf course before. There was the guy I disqualified at the Wet Dog Fur Open for signing an incorrect scorecard. I think he cried. And there was the time I guy I was playing with took seven shots to get out of a sand trap, he cried too. Though it could have been because he had more sand and dust in eyes than a Visine commercial. I’ve even seen pro golfers cry after winning a big event, guys like Payne Stewart and Ben Crenshaw. But they waited until the last putt had dropped, the round was over. Not Day. Not that he needed to. When he rolled his long putt on 18 within inches of the cup, he new his long, well-documented journey to a major title had reached its end. So he let the moment overwhelm him. Like a real human being, which oftentimes we forget these guys, with their 370-yard drives and 175-yard pitching wedges, are. He got it together, of course, after Jordan Spieth, who had one of the best years in the history of the game, cleared the stage. Day stepped up, sank his final putt and then embraced his longtime caddie – and friend and mentor – Colin Swatton. CBS told the story again, of Day being lost after his father’s death, how Swatton – and golf – came into his life and helped Day find himself. It’s a heartwarming tale. So was the look on the face of Day’s son, Dash, who just wanted to be held by daddy. Even when daddy had to leave to sign his scorecard. That’s when you really saw tears, as Dash tried to get away from mom Ellie and join dad. And you heard wailing as well. It was a touching scene even Jim Nantz couldn’t ruin with excessive exposition. Though he tried. Anyhow, though Spieth came up short and Dustin Johnson’s snowman on the opening hole derailed any chance of him getting redemption at Whistling Straits, and Justin Rose reverted to his pre-U.S. Open-win Sunday style of play at a major, yesterday’s final round was fun to watch. Though a little scary too. Day has been there before – and failed. If he did it again it would have been too painful to watch, like parts of the Judd Apatow movie, “Trainwreck,” we watched in the morning. There was no wreck in Wisconsin yesterday. Just tears. And a teary-eyed man reaching a long-sought goal. • WSU: The Cougars held a scrimmage yesterday to bid goodbye to beautiful Lewiston. No surprise. The offense shined. That’s the good news. The bad news? Despite all the pressure put on by the defensive line – there were 10 sacks listed on the official stats – the defense didn’t come up with a single interception. That’s supposed to be the forte of new defensive coordinator Alex Grinch, so the lack of picks could qualify as an uh-oh moment. Or it’s just a glitch. It’s too early to tell. ... The Cougars will have today off as they return to Pullman, where the rest of the student body is arriving for the new school year, which starts next week. That means Jacob Thorpe will face much longer lines at Cougar Country for his shrimp basket. He’ll still have a complete report, though, like he had yesterday. There is this story on the scrimmage in today’s paper, a blog post with a summary on the day and video interviews with coach Mike Leach and players Luke Falk, Dom Williams, Marcellus Pippins, Jeremiah Allison and Hercules Mata’afa. ... Jacob also has a morning post with some links, to which we add this story on the Cougars from the Arizona Daily Star and pieces from Utah, Stanford and Arizona State. • Indians: Spokane lost the first two games of a five-game series with Salem-Keiser. Then it won the next three, culminating in yesterday’s 4-3 victory at Avista. Now the Indians head out on the road as the season begins to wind down. Chris Derrick has the game story and this blog post. • Seahawks: So Percy Harvin just won’t shut up, huh? OK. You expected anything else? ... There are more than a few folks missing from the Legion of Boom right now. So others are stepping in to fill every role. • Mariners: The M’s were breezing, having scored eight runs, and looked to be in line for a nice getaway day win over Boston to cap a long, long series. Then the bullpen happened. 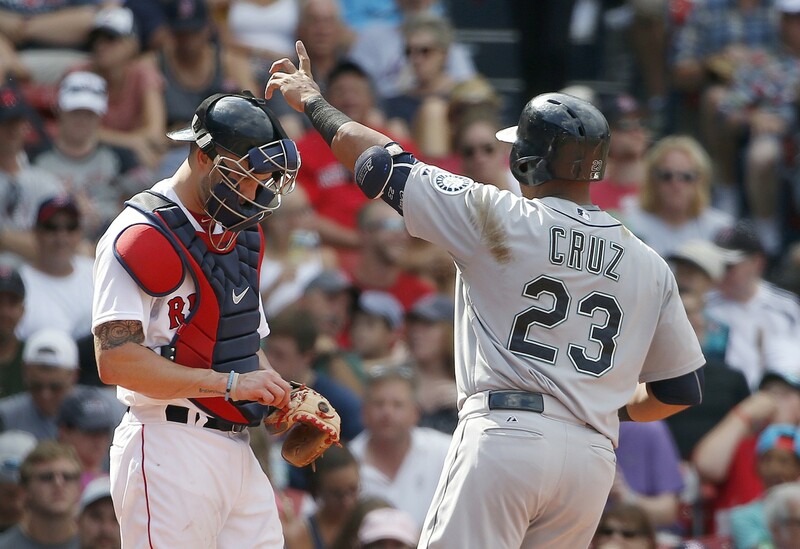 Tied at 8 at the end of regulation, it took 12 innings from Seattle to claim a 10-8 win over the Red Sox. ... Franklin Gutierrez had a big part in the win with two home runs. But more importantly, he seems to be handling his illness well. • Sounders: That’s all the Sounders needed. The return of Obafemi Martins. And the hiring of a couple new players. That’s all. Whatever, it added up to a 4-0 rout and the return of dominating play at CenturyLink. ... 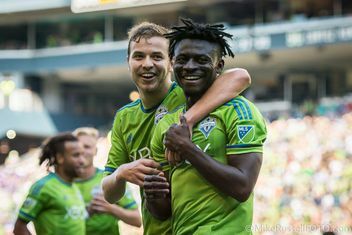 The four goals the Sounders scored yesterday matched the total they scored in the 10 matches since the U.S. Open Cup debacle against Portland that resulted in Martins’ injury and Clint Dempsey’s suspension. ... The Seattle players were happy. Their Orlando counterparts, not so much.